Encapsulating every aspect of the South American continent, from its multifaceted arts scene to its social-politics and geographic dynamics, the thoroughly enthusiastic and much-applauded Sounds And Colours website launches the third volume in its physically published tour guide series – to some degrees an extended long form of their online content. Following on from previous crowd-sourced Brazil and Columbia editions, their latest inimitable guide-come-survey-come-fanzine turns the spotlight on the often overlooked and mysterious Peru. Winning out in a Sounds And Colours reader’s online poll, the enigmatic Peru is explored and rediscovered with revealing and often surprising results by a group of eager, erudite contributors. For the first time however, this latest project includes not only the customary audio CD but also a complimentary DVD of short films too; a visual documentation and expansion of the book’s various personalised insights; from the musty sunlit hours filmed “good morning” Radio Belén document of life on the Amazonian tributary, to following a female shamanistic healer, gathering her ingredients from natures medicine cabinet, as she prepares a ominous concoction. Less tourist trail, more gritty and earthy realistic off-the-beaten-track meander, the guide languorously flows between music, personal anecdotes, politics, environment, literature, festivals and the arts. Loosely at least to give some traction, the guide follows a topographic trajectory. The biodiversity of Peru is extreme but stunning, and here it is broken into four distinct areas of investigation, the Northern coastline and inland’s that border Ecuador – a hotbed for surfing -, the central and southern regions that house both the capital Lima and the famous Nazca Lines – further inland towards the unforgiving deserts -, the daunting, altitude dizzying Andes – known locally as the “highlands” – and the Amazon – which it of course shares with a seven other countries on the continent. 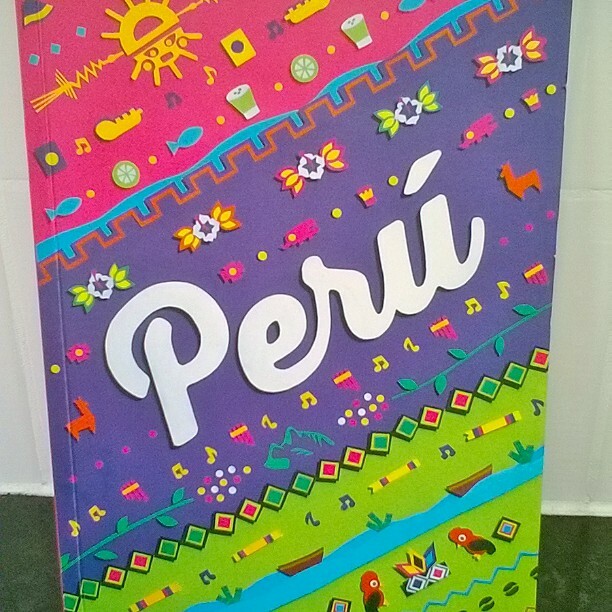 Much like their South American counterparts, Peru shares both a litany of the similar good and bad points. On the negatives, there’s the all too prevalent disdain towards the country’s Afro-Peruvian community – arguably one of the foremost important influences to shape Peru; Chole Broadfield assesses the role of folkloric black icon Mario Landó; feted by David Bryne who worked with her on the 1995 LP The Soul Of Black Peru – and dismissal of anything deemed working class culture. Even though a debate on ethnic authenticity and nostalgia rages, with critics bemoaning the platitude trend to take-over the once humble music of an impoverished underclass – see the meta essay introduction into current and historical musical threads by Jorge Olazo. There’s also the omnipresent, and it seems obligatory, paramilitary style revolutionaries on hand in the form of the Maoist guerrillas Shinning Path. Christened by the writer, philosopher and founder of the Peruvian Communist Party José Carlos Mariategui who observed, “Marxism-Leninism will open the “shinning path” to revolution”, these radicals left 70,000 casualties in their wake as they waged an insurgency against the “ruling capitalist government”. The ideals that started off with the intention of implementing an “Agrarian Communism” system descended into a horrific campaign of violence; doing little to endear them to the people or even their staunchest allies. Eventually contained, fizzling out during the last few years with most of the hierarchy either imprisoned or killed by government forces – equally apt in the brutality stakes –, Shinning Light seemed an insurmountable problem to shift; at their peak they controlled huge swathes of the country, finding a hotbed of support amongst the rural areas poorer, put-upon inhabitants – though many were more or less bullied and frightened into helping – and controlled the lucrative drug trade – always a good little earner that one. They’ve left an indelible mark and stigma on Peru’s conscious, and proved controversial themes, both in handwringing and in tragic consequence, for its writers, poets, artists, and musicians, and in the case of Nick MacWilliam’s insightful article A Revolution On Film its filmmakers. Permeating throughout, it is MacWilliam’s who looks at their impact and legacy on a pre and post generation of Peruvian directors; objectivity the main factor of concern, as events are still abundantly real and still unfolding. And talking of visitors, and not just those drawn to its wilderness, Peru has continued to play host to the thrill seekers. Namely those on the trail of William Burroughs and Allen Ginsberg’s infamous yagé, also known as the ayahuasca, hallucinogenic – as glowingly and colourfully, through a series of anecdotal correspondents between the two authors, detailed in their 1963 published book The Yage Letters. In more recent years European hipsters have flocked to engage in DJ accompanied rituals of hedonism, under the spell of the mythical drug’s intoxicant powers. Allured by Peru’s Amazonian shared borders, those looking to find – usually over-exaggerated – experiences look upon the mystique and traditions of the shaman for adventure. And Peru certainly has plenty of these spiritual guides and medicine men/women to amuse them. Elsewhere endearing features on the capital’s street art, club and music scenes reinforces the notion that the world is creeping towards homogenisation; the subject matters and certain idiosyncrasies are unmistakably still Peruvian but the adoption of techniques and influences as the internet opens up previously cut-off exotic lands shows the distinctions are slowly evaporating. And though the scene outside Lima is more indigenous, cocooned in some ways from that influence, even the atavistic traditions now sound far less alien than they would have done twenty years or more ago, with many artists in the more cosmopolitan hubs absorbing these traditions and rewiring to fit electric tastes. An audio aid, the accompanying CD brings the various music exposés to life. Every facet of the music spectrum is represented (almost); ambitious crossover rock (Molde’s for whom the bell tolls ’11:11’), bubblegum psychedelic pop (Chico Unicornio feat. I Am Genko’s ‘Luxor’), South American home-grown rhythms (Los Chapillacs’s classic cumbia rumpus ‘Soldados de la Noche’), poetic lament (Victor Hugo’s three-stage pop opus ‘Lima Es Nuestra’), folktronica (Kanaku Y El Tigre’s ‘Bubucelas’) and cocktail hour bolero (La Lá’s ‘Mango’) all make worthy appearances. Far too many contributors to mention, though as overall editor and chief writer Russell Slater deserves a honourable mention for overseeing and piecing it all together in a cohesive fashion, there’s a comprehensive range of interviews, observations, poems and stories on every conceivable topic to explore. Best read as a considered purview to be dipped in and out of, Sounds and Colours inimitable, style travelogue meets fanzine guide to Peru continues an enthusiastic and honest celebratory survey of South America for both the fleeting fan and expert to enjoy. You can visit the site and order the book here.